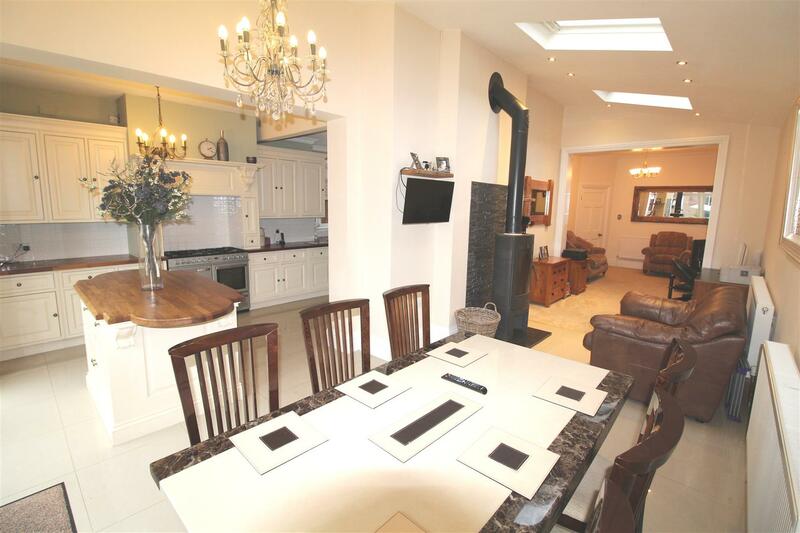 Built in 1915 we are pleased to offer for sale this 4 bedroomed, traditional style property. Located down this tree lined road and close to People’s Park, the town centre, Grimsby Institute and other local schools. 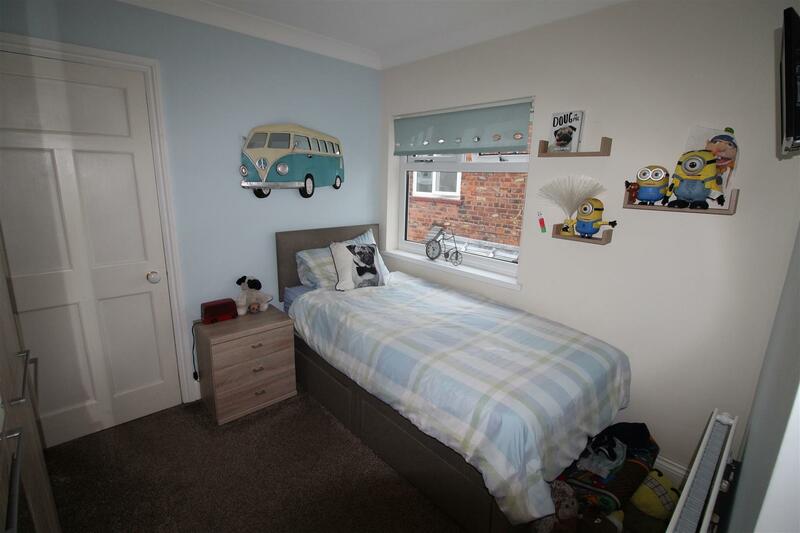 This four bedroomed semi detached property has undergone a period of restoration and benefits from u.PVC double glazing, gas central heating and an alarm system. 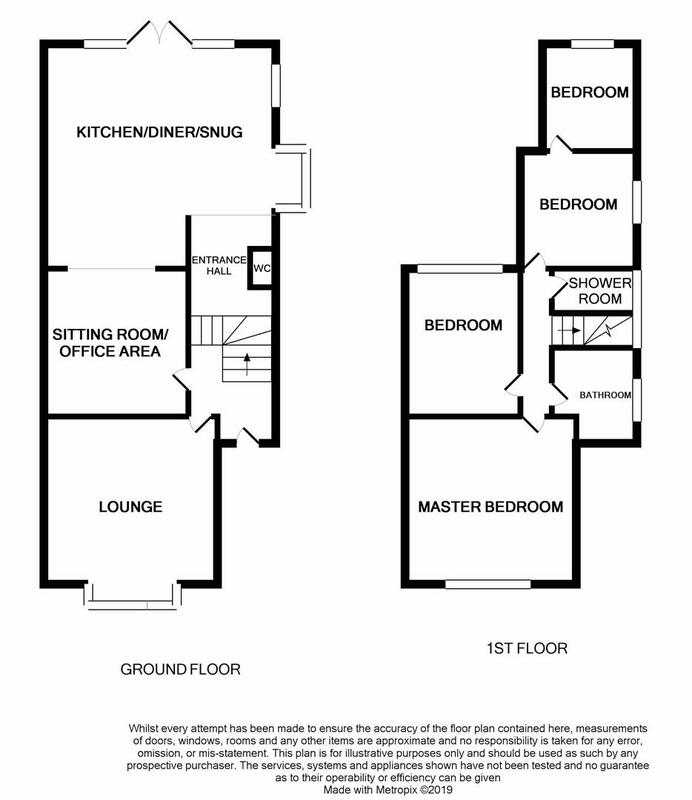 On entering the property there is a wonderful entrance hall which really takes your breath away; to the front of the property a large living room and then a sitting room with ample office space which then opens to a dining-kitchen which has an extensive range of fitted units. There is a downstairs cloakroom also. 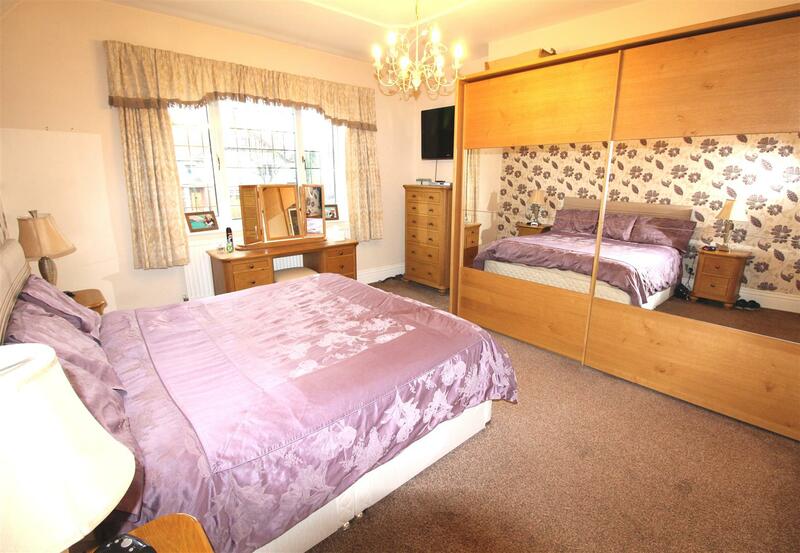 On the first floor accommodation there are four bedrooms, two of which are substantial sized doubles. 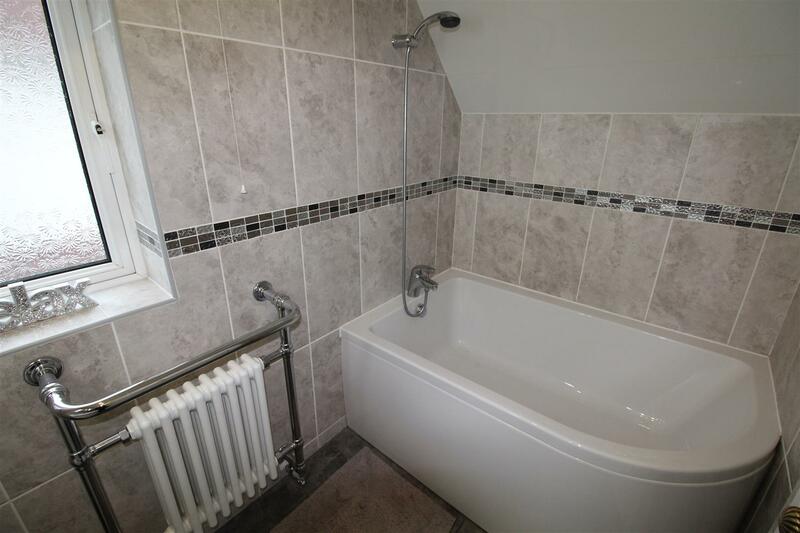 There is a bathroom and also a separate shower room. 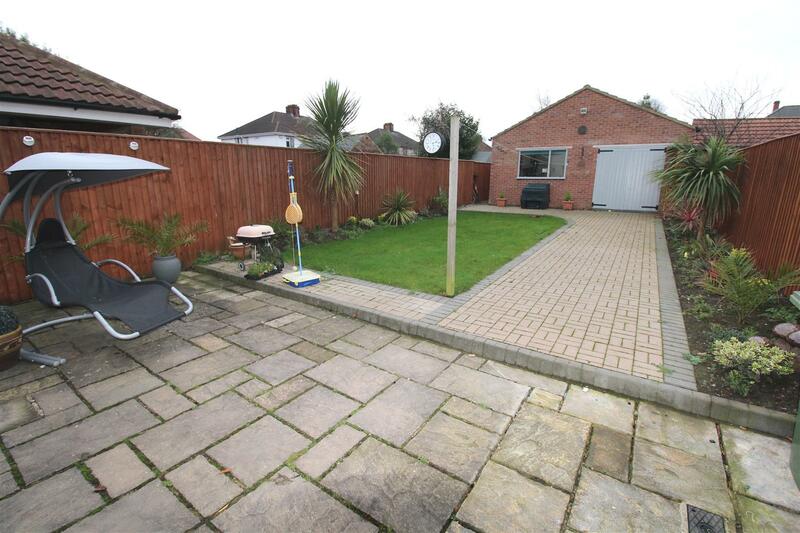 Outside there are gardens to the front and a pathway leads you to the lovely rear garden and a garage which is accessed via Connaught Avenue. The garage itself can house 4 vehicles (depending on size). 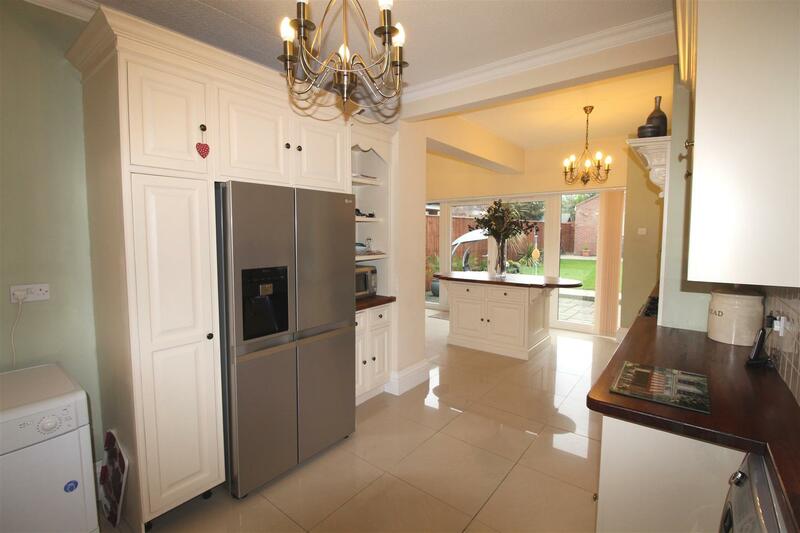 This property is very deceiving to look at from the front but once you enter it, it is overwhelmingly beautiful and viewing is a must to appreciate the size. Under a canopy and through a wooden, panelled and stained glazed door into the entrance hall. 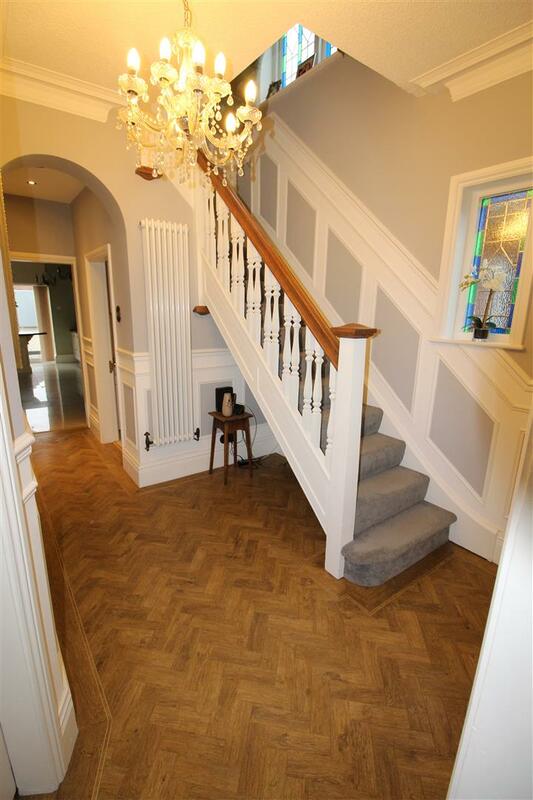 The hallway itself has an Amtico French Oak floor, traditional bevelled skirting boards with matching dado rail and inbetween, attractive plaster freize decor to the walls. 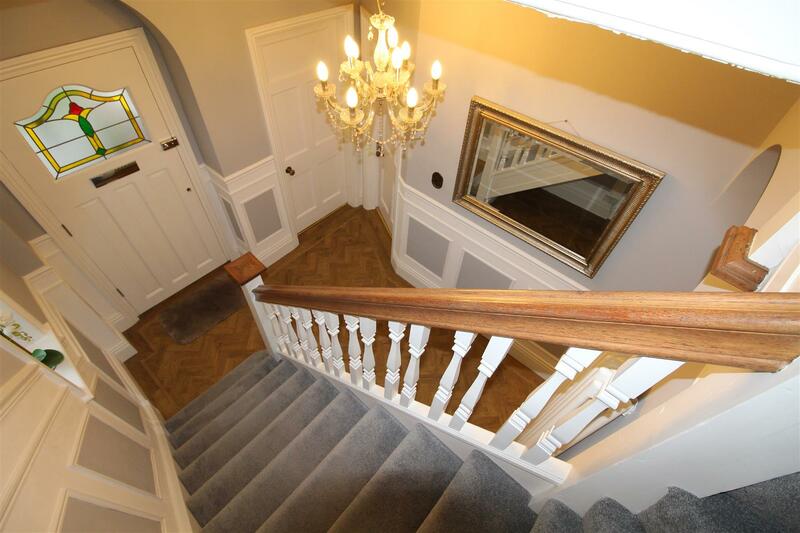 Cornice, coving and light to the ceiling, a built in cupboard, a UPVC double glazed stained window to the side aspect and an attractive staircase with wooden balustrade, which lead you to the first floor accommodation. All panelled doors leading off. 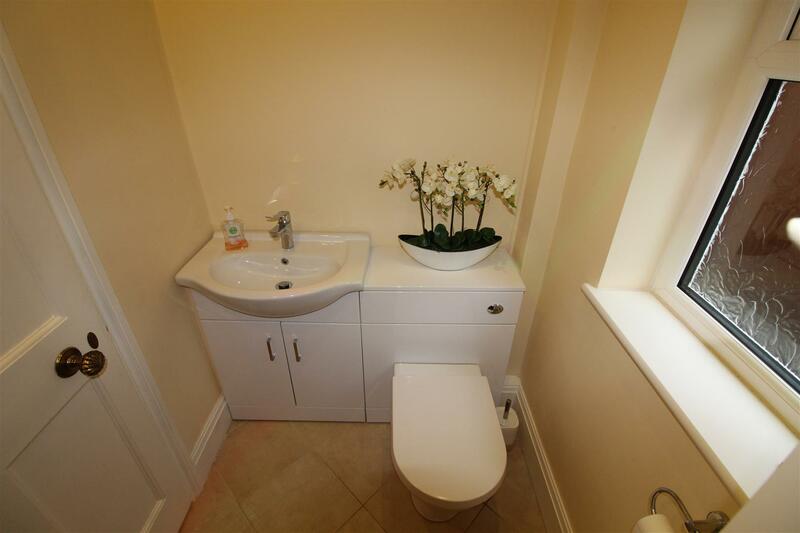 Through a panelled door into the cloakroom with a white close coupled toilet and wash hand basin within a white, high gloss vanity unit of cupboard with chrome door furniture. 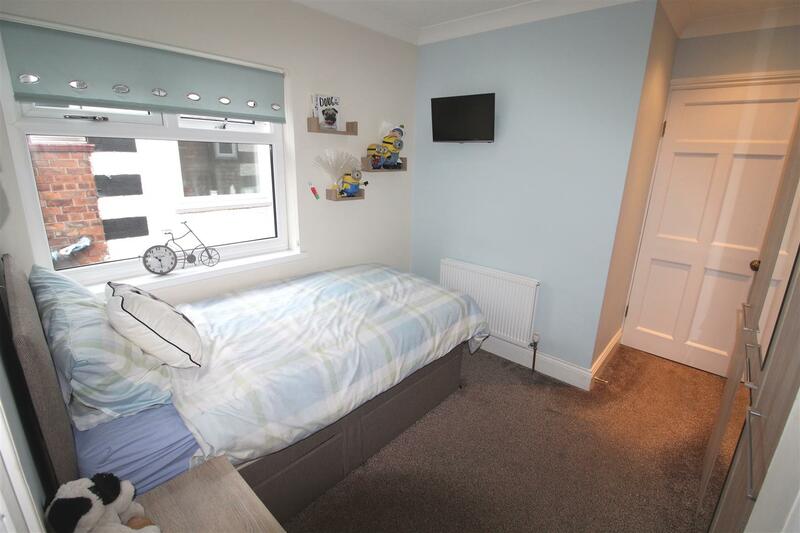 Central heating radiator, spot lights to the ceiling, tiling to the floor and a u.PVC double glazed window to the side aspect. 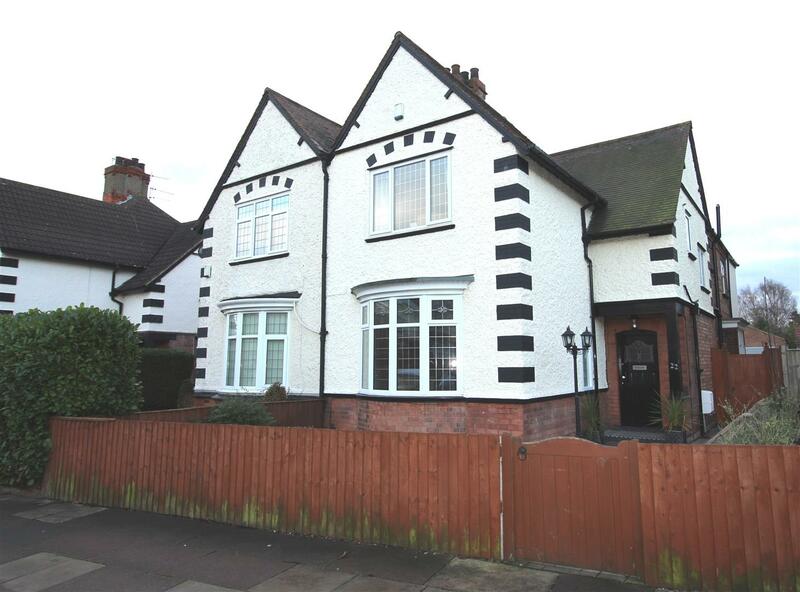 Situated to the front of the property with a u.PVC double glazed and leaded bay window with decorative glazing and a u.PVC double glazed window to the side aspect. 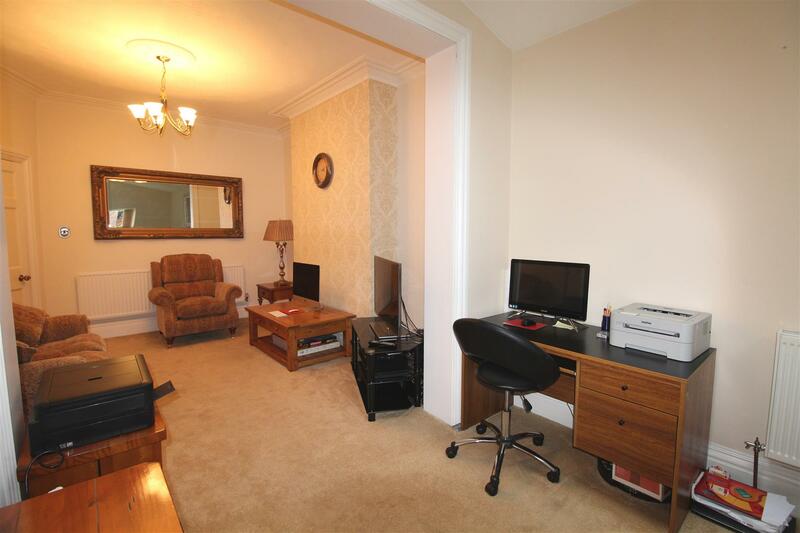 Original decorative skirting boards, cornice, rose and light to the ceiling, picture rail also. A beautiful Limestone effect, fire surround with marble hearth and backing with inset Living Flame style of coal effect gas fire, central heating radiator. 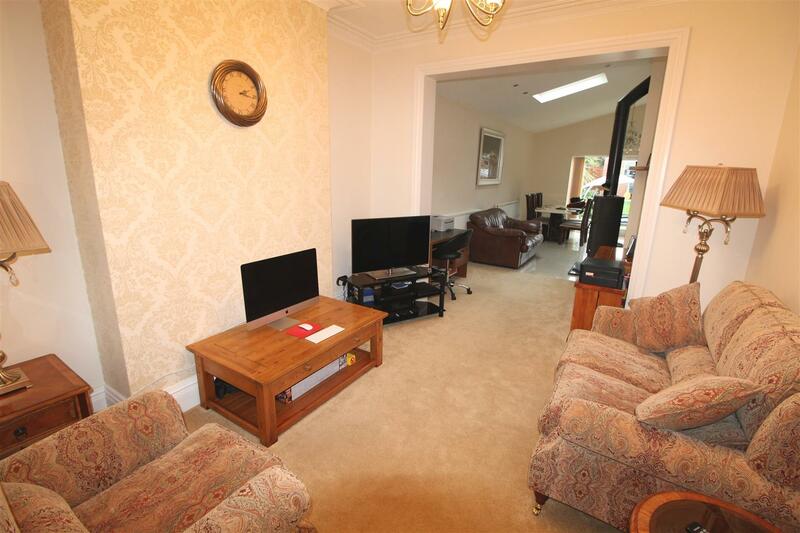 This is a lovely spacious room with the high, original ceilings. 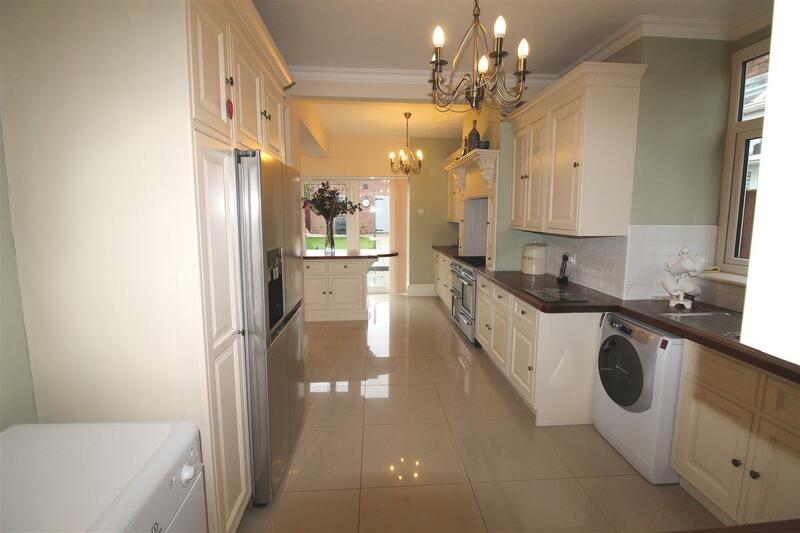 6.70m x 3.36m opening out to 3.30m x 5.44m (21'11"
The kitchen with an extensive range of beautiful, hand crafted, Ivory units to the base and walls with scroll and tops and valances and brass door and drawer furniture. Wooden post form roll edge work surfaces and tiled reveals. 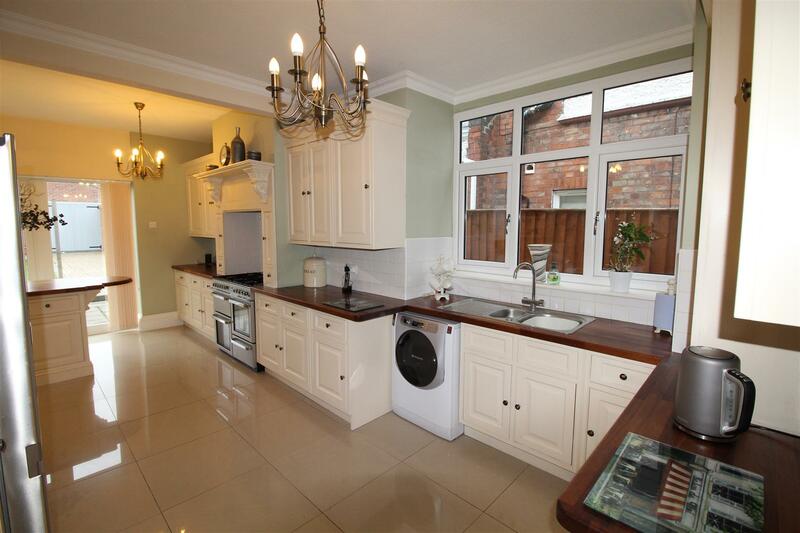 Integral, stainless steel sink unit with mixer tap and drainer, space for a Rangemaster with extractor above, plumbing for a washing machine and space for a double fridge-freezer. The 'island' with wooden scalloped work tops and cupboards underneath, again with brass door and drawer furniture. 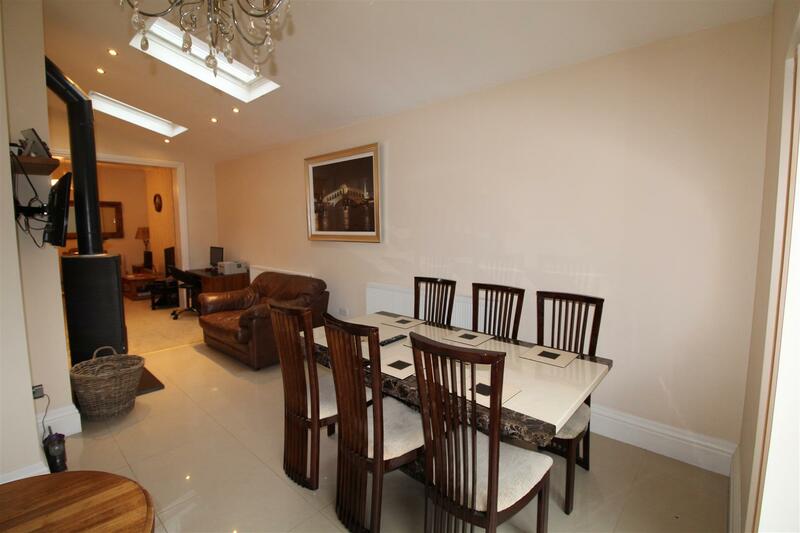 This room then opens up into the dining-area where there is extensive room for a table and chairs and living furniture. 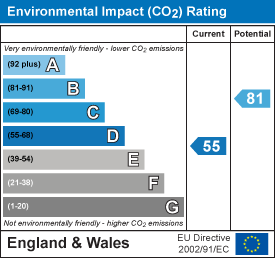 The log burner is also situated here. Lights to the ceiling, a further central heating radiator, tiling to the floor and u.PVC double glazed french style doors to the rear garden. 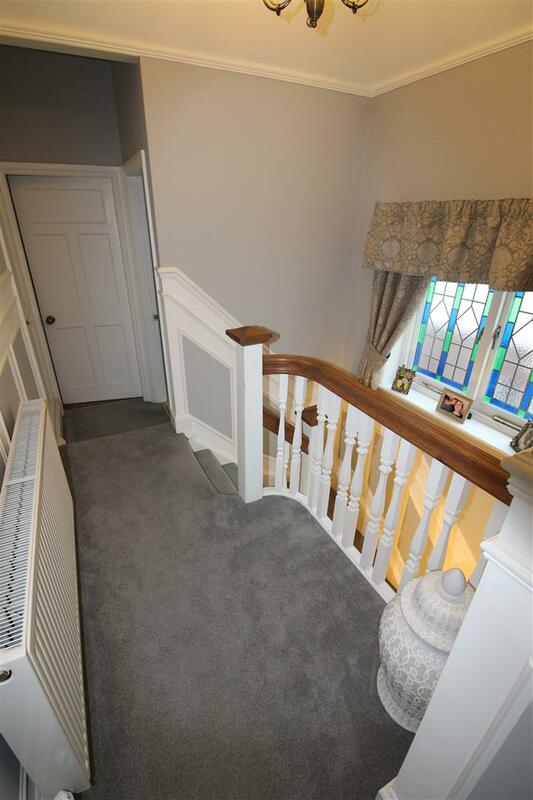 Up the staircase, at the top of the landing with a beautiful curved balustrade, a u.PVC double glazed and stained window to the side aspect. A continuation of the dado rail with the decorative plaster freize to the wall and skirting boards. Picture rail, ceiling light, central heating radiator and storage cupboard housing the combination boiler. Loft access also, all panelled doors leading off. 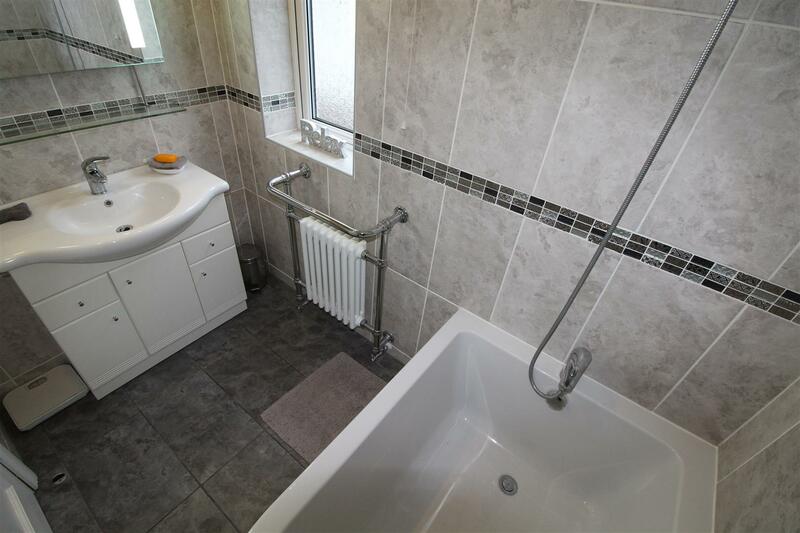 With grey mottled tiling to the floor and walls with a metallic and black border to the middle. Wet boarding to the ceiling with spot lights, towelling radiator and a u.PVC double glazed obscure window. A white suite comprising of a panelled bath with shower and a white basin within a white, high gloss vanity unit with chrome door and drawer furniture. 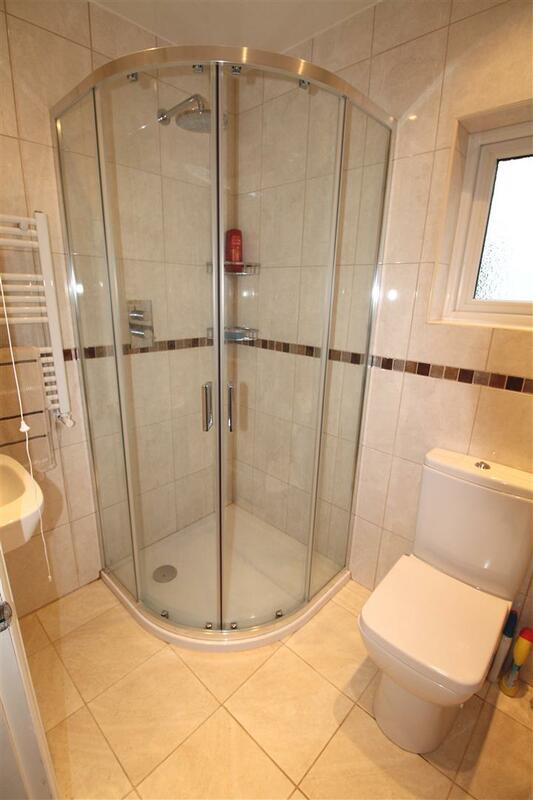 With a large shower cubicle with plumbed shower above. White wash hand basin and close coupled toilet. Neutral tiling to the walls with a mosaic border. Towelling radiator, wet boarding to the ceiling and spot lights. Extractor fan and a u.PVC double glazed obscure window to the side aspect. 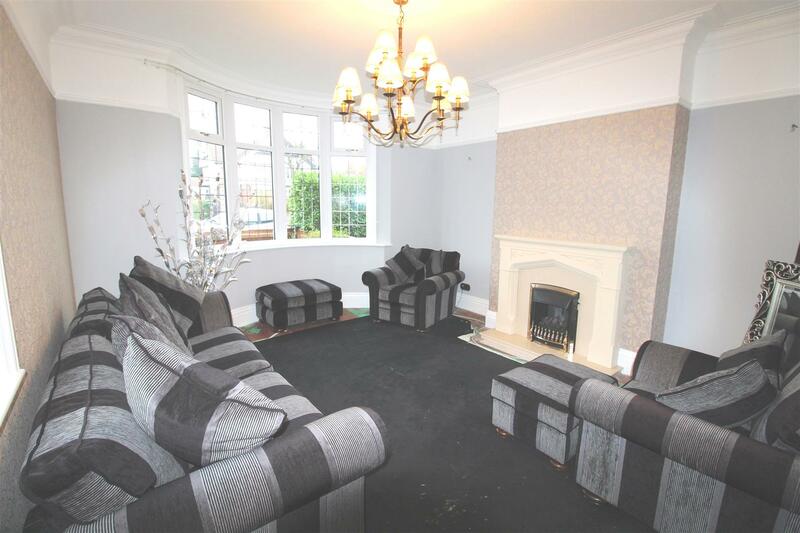 This beautiful room is to the front of the property with a u.PVC double glazed, leaded window, central heating radiator, plaster freize, rose and light to the ceiling, large skirting boards . 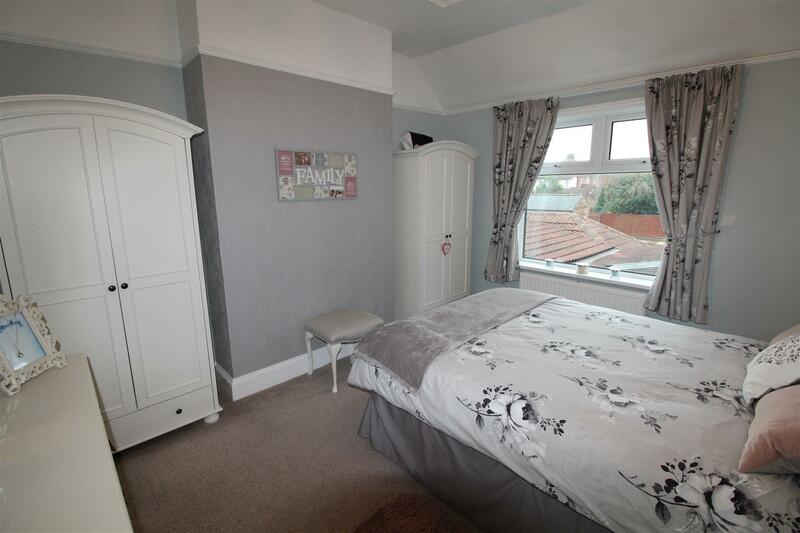 This large double room with a u.PVC double glazed and leaded window, central heating radiator, picture rail, plaster freize and light to the ceiling and chimney breast. 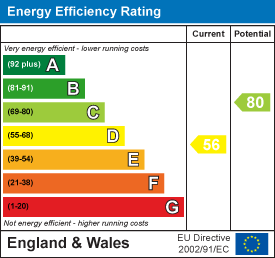 To the rear of the property with a u.PVC double glazed window, central heating radiator and ceiling light. The front garden has a fenced, hedged and gated boundary with a block paved footpath leading to the canopy and light to the front door, the footpath also leads to the rear access through a side gate. There is a lawned area with borders of flowers and shrubs. Through the gate and down the side access with an outside tap and to the rear where there is a fenced and gated boundary. The block paving continues into a patio area where there is plenty of room for garden furniture and table and chairs. The block pathway leads to the rear of the garden where there are double doors to the detached garage. The garden is mainly laid to lawn with shrubs and palm trees and lots of sensor and solar lighting. The garage is accessed via Connaught Avenue where the driveway is shared leading up to the property. The garage itself is of brick and tiled construction with an up and over door via Connaught Avenue, but double doors via the rear garden. The garage could fit approx 4 cars but at the moment it is partially cornered off to be used as a workshop. There is a double glazed window, light, power and a sky-light.